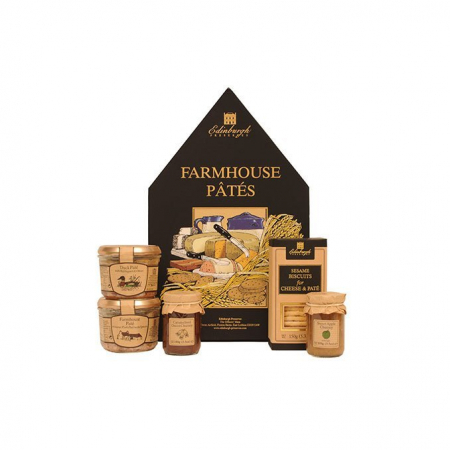 The contents of this box are all either grown, blended or produced in or around Edinburgh. 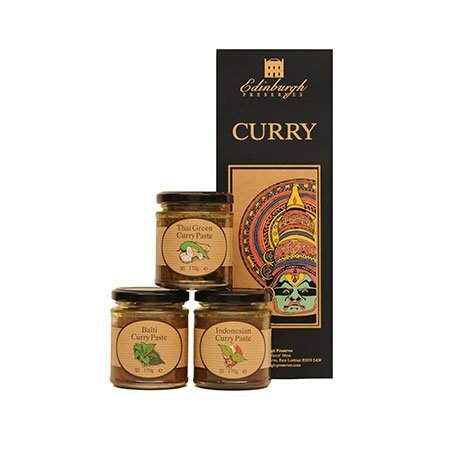 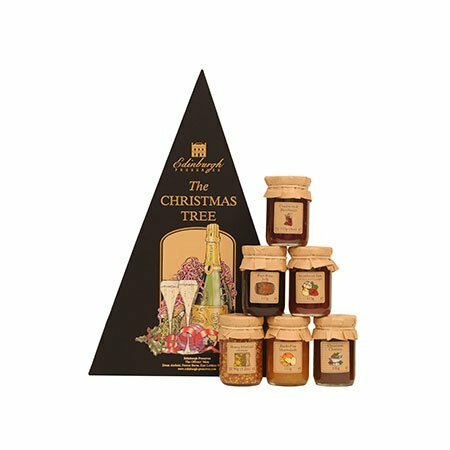 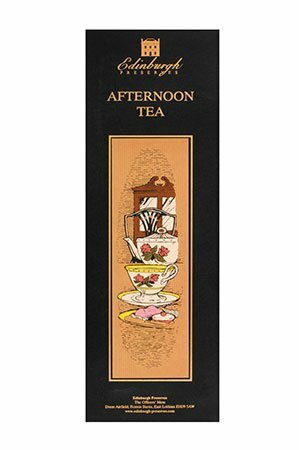 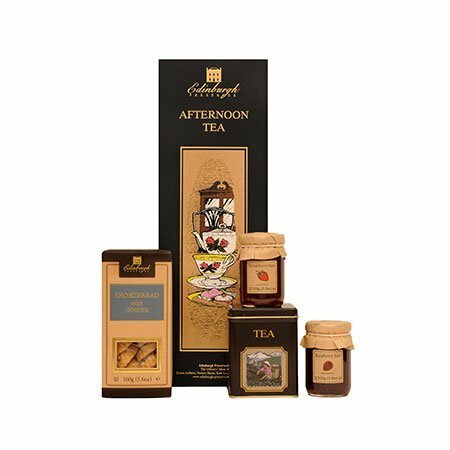 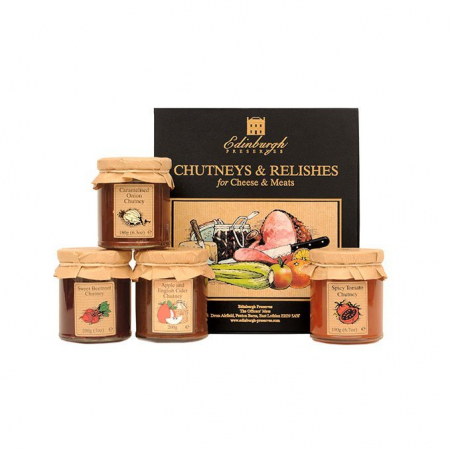 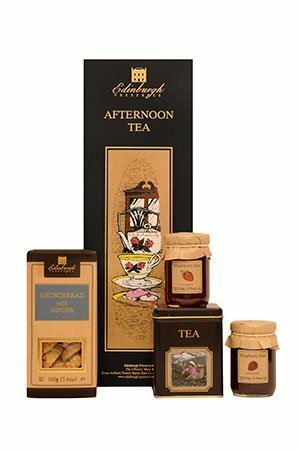 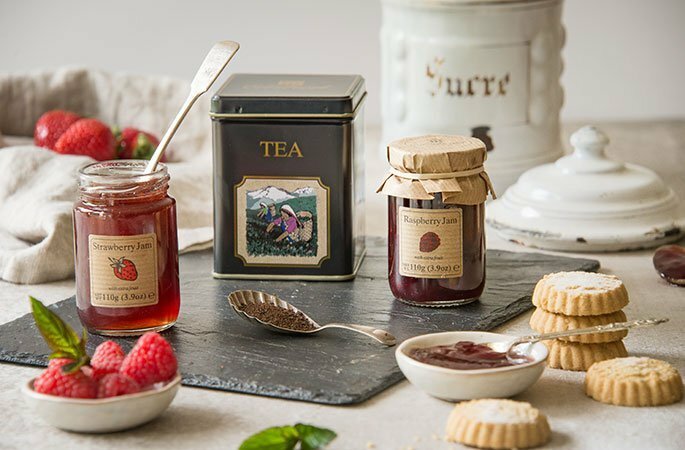 The Strawberries and raspberries are grown on the east coast, the Jam is produced on the east coast in traditional open-pans, the Stem Ginger Shortbread is handmade in Edinburgh and the Tea is also carefully blended in Edinburgh using the best tea leaves from selected plantations. 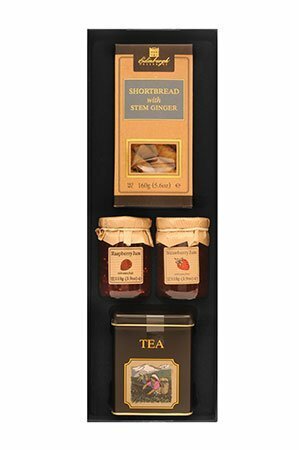 Contains Shortbread with Stem Ginger 160g, Afternoon Tea 125g, Strawberry Jam 110g and Raspberry Jam 110g.